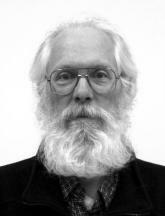 The Unix Curmudgeon in residence is Larye Parkins. This is a place to ponder all things Unix and the state of the ‘Net in general, along with comments and opinions on Life, The Universe, and Everything. Discussions welcome. When the Unix Curmudgeon is not blogging, he is working on developing and maintaining other folks’ web sites, writing custom code, pondering the complexities of high performance computing clusters, or otherwise giving in to a 49-year-long serious computing habit. On those rare occasions when he stumbles, bleary-eyed and cramped, from his computer, he can be found designing and sewing quilts, learning to weave, riding his bike, working on his homebuilt airplane project, or tackling one of the growing list of unfinished tasks on the “honey-do” list. The Unix Curmudgeon lives in the Pacific Northwest with a very nice creative person (his wife Judy) and one cat, surrounded by sewing machines, several looms, a spinning wheel, and as many computers as the circuit breaker panel will support. Fabric, yarn, fiber, and books compete for wall space, and the stable of bicycles competes for garage space with a half-finished homebuilt airplane. When not busy keeping the 85-year-old bungalow Chaos Central in one piece, they are trying to keep their tiny off-the-grid homemade cabin (formerly the Y2K Bunker) in Montana habitable for that next getaway or the End of Civilization As We Know It. All of the articles in this blog are based on personal experience. We do not advertise any product other than our own skills. We discuss topics of interest to us, friends, neighbors, clients, and future clients. We research topics to try to ensure accuracy of facts. All else herein is opinion, of which curmudgeons have no shortage of supply. This we believe: Strive to live in harmony with the environment and your fellow man. Big business serves shareholders before customers, though customers are a necessary means to the end. Caveat emptor. Open source software creates useful things and expands knowledge and innovation through cooperation and sharing. Life is short–but open to endless possibilities. Observe, learn, and act. Data are facts. Information is organized data. Knowledge is information about information. Intelligence synthesizes knowledge from existing information. Wisdom applies intelligence for the benefit of all creatures. Thanks. It was one of those convergence things–I’m continually having to trim Facebook posts or create a new web page and link it, so it is nice to be able to write a whole essay (500-1500 words). Second, our web hosting folks upgraded to MySQL 5, so it was about time to migrate the database attached to our web tree and finally start using it. Third, as much as I like to grind my own code, WordPress is a nice, clean PHP/MySQL implementation and easy to use and administer. I’m going to set one up for Judy as well, linked to her fiber art site. My replacement at $WORK is pretty proactive about leveraging available collaboration tools, so we are using GoogleWave and DokuWiki for work-related discussions and documentation, which started me looking at blogware. WordPress is convenient and a lot of people us it. Hi Larye, Sisters is now home to the largest number of state-designated scenic bike routes of any place in Oregon. It describes Two Rivers Three Sisters (formerly the Quilt for Two Rivers) a collaboration between the National Forest Foundation’s Treasured Landscapes conservation campaign, the U.S. Forest Service and the Sisters Outdoor Quilt Show. The project enlisted nearly 20 fabric artists to produce one 40-foot quilt with Whychus Creek running through it, to raise awareness of this Wild & Scenic waterway and native fish reintroduction. I googled The Oregon Loom and came up with your blog. I believe I have an Oregon loom. It was given to me 9 yrs ago and I just now took it out of my garage and put all the pieces together. The friction brake has something missing and the front warp beam looks incomplete. No rivet holes for rope to be threaded through. Would you mind looking at some photos and telling me if it is indeed an Oregon Loom and how I can complete it. By the way, mine also has a metal bar on the beater as though it were used for heavy fabrics. Thank you in advance. The construction book for the Oregon loom is available here->http://www.amazon.com/Building-Oregon-Loom-Mathieson-David/dp/B000OTFQSI See also comments in private email. I have obtained a copy of this book from my local library, but it is not exactly the same and the illustrations in the book are not adequate for my needs. But thanks! I guess I need to continue my search for a loom like mine. Peace! If you have a picture of your loom, we might be able to identify it. We are affiliated with two weaving guilds, someone might have seen one like it. I did send you an email in conjunction with your first post, so you should have my address. email photos to larye@info-engineering-svc.com is the easiest way.